Take in Canada’s blazing bushes and dazzling displays of autumn. Here, a guide to some fabulous foliage spots. Whether it’s hiking or biking or simply meandering along the shore, PEI offers tremendous fall foliage from mid-September until late October. To learn more, go the PEI Fall Foliage Website. Take in the dazzling display of Quebec’s sugar maple trees, provincial yellow birch and American beech. 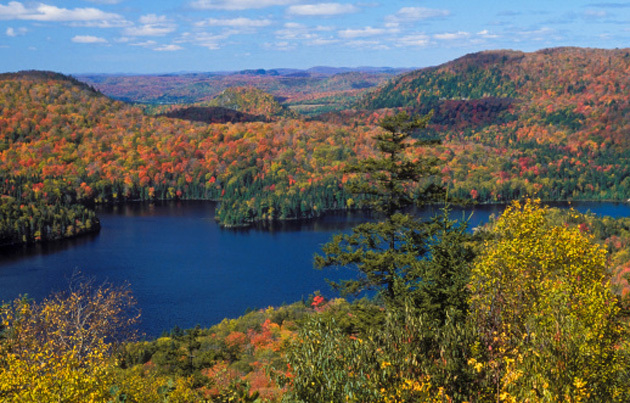 The Laurentian Mountains are known as one of the most beautiful fall foliage spots in North America. Visit the resort town of Mont-Tremblant for its annual Symphony of Colours festival which includes Fall Concerts and the annual Grand Prix of Colours event. Visit Quebec’s official tourism website for details. 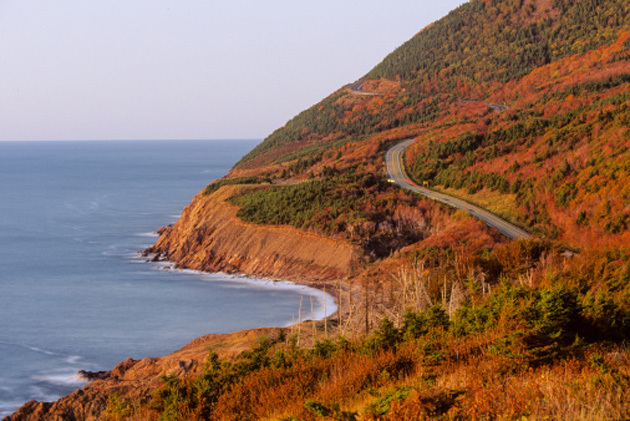 Considered one of the world’s most beautiful drives, the Cabot Trail winds around Cape Breton’s northern shore. 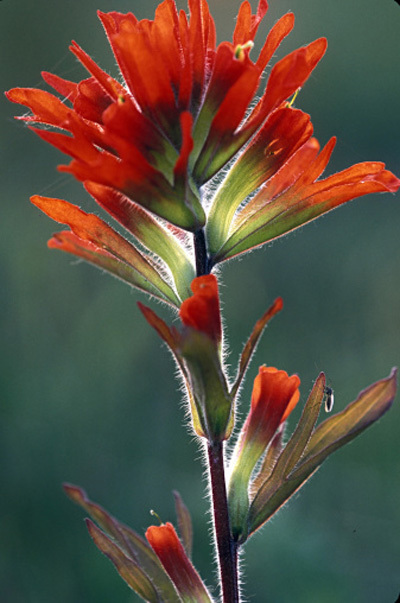 Colours typically reach their peak the first or second week of October. For more, visit the Cape Breton Highlands National Park or the Nova Scotia Fall Foliage website. Beyond its spectacular fall colours, New Brunswick offers a whirlwind of festivals, fairs and special events. The region’s cultural “joie de vivre” is celebrated with music, seafood extravaganzas and a chocolate festival, among other activities. 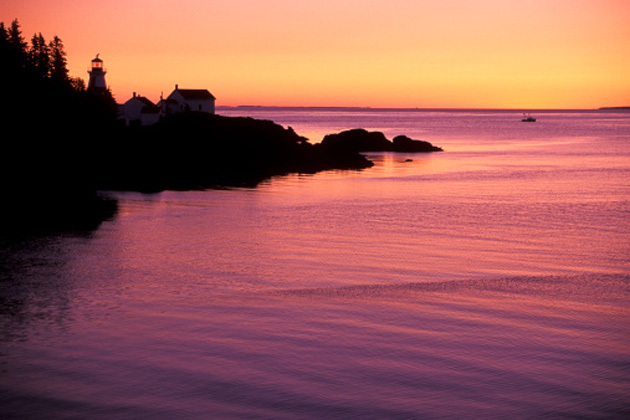 The spectacular Fundy Coastal drive offers some of the highest tides in the world. 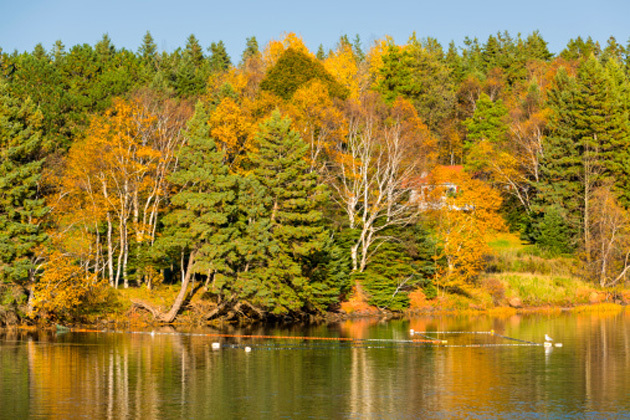 For more about New Brunswick in the fall, click here. Colour seekers will not be disappointed by Ontario’s Bruce Peninsula, located in the heart of a World Biosphere Reserve. The massive, rugged cliffs overhanging the clear waters of Georgian Bay are inhabited by thousand year old cedar trees. The park features habitats from rare alvars to dense forests and clean lakes. Colours typically reach their peak in early October. Take a fabulous fall drive on the historic Niagara Parkway as it follows the winding curves of the Niagara River. 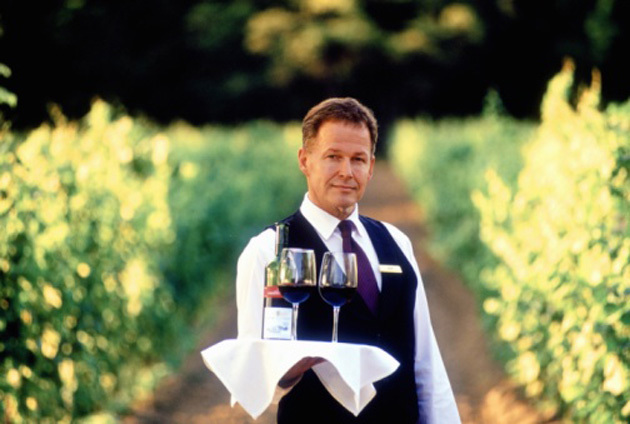 Along the way you may want to stop at the quaint town of Niagara-on-the-Lake or take a bit of refreshment in Ontario’s wine country. 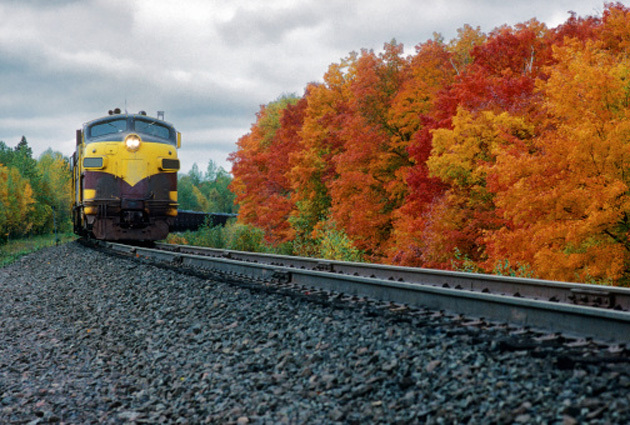 If you’d like to see the fall foliage, but prefer to leave the driving to someone else, check out VIA Rail‘s variety of autumn vacation packages. Packages feature a number of cities including Toronto, Montreal, Quebec City, and Halifax.